Helen Fraser West was a missionary with the Presbyterian Board of Foreign Missions. 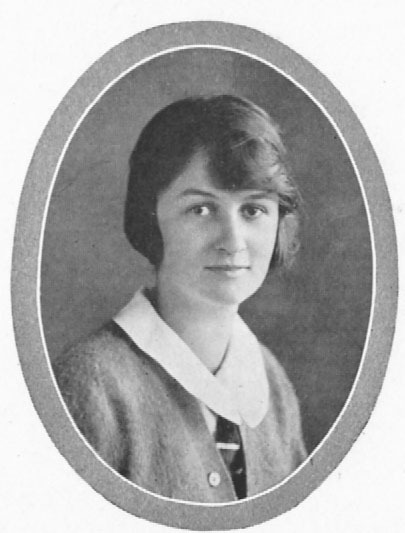 Alumnae Quarterly (AQ) August 1929: "Helen Fraser who was graduated from the Women’s Medical College in Philadelphia in June, will be an intern in the Presbyterian Hospital of Pittsburgh during the coming year." AQ May 1930 (paraphrased): "Helen Fraser married the Reverend Kirk West, a graduate of the Princeton Theological Seminary. They plan to sail for China under appointment by the Presbyterian Board of Foreign Missions." AQ February 1935: 'The Wests oldest daughter, Prudence, died at their home in Weihsien, Shantung, China due to pneumonia following bacillary dysentery. She was three years old." AQ August 1937: "Numerous Wilson alumnae in Shantung: Helen Scott Mahy and Helen Fraser West are next door neighbors. Marguerite Luce is nearby. The Dicksons, who have two daughters at Wilson are neighbors, and Kathleen Neale Kepler was there for a year." AQ February 1941: "Helen Fraser West and her family have been sent to the Philippines due to the dangerous conditions in China." AQ August 1942: "The Wests are now in Pennsylvania while on enforced furlough from China." AQ August 1946: "Helen Fraser West’s husband sailed for China – March 1. Helen and the children expect to sail in August." AQ May 1947: "Helen Fraser West and her family of four children sailed from San Francisco on March 28 for China. Her husband left about a year ago and has been back in their old station." AQ February 1947: "Helen Fraser West’s life sounds like a three ring circus. She and her family are in Tsingtao, China. They were not allowed to return to their station at Weihsien as it is Communist country. Kirk is away a great deal on inspection trips. Tuck’s (Helen) house seems to take in and care for everyone." Wilson alumnae during this era frequently used nicknames. AQ November 1949: "Helen Fraser West and her family arrived in San Francisco in late spring."